A hot-headed young warrior must decide whether to follow the longings of his own heart or rise to the challenge of leading his people. Will he be the greatest king the Cambrians have ever known, or will he fall prey to the darkness in his own soul? Such are the questions answered in Uther, the story of Uther Pendragon, cousin to the sorcerer Merlyn and father to Arthur, the future King of Britain. In his boyhood, Uther divides his time between two radically different worlds. Within the solid walls of Camulod, he enjoys the luxuries of a civilized community and trains in the Roman military style to realize his heroic dream—commanding Camulod’s calvary. But still he is pulled back to his father’s people and the dark land of his birth, the harsh, primitive world of the Pendragon of Cambria. At the death of his father, King Uric, a new king must be elected from among the chiefs, and Uther must reconcile himself to the fate that awaits him. Much like how Seti was overshadowed by his son Ramses II, Uther Pendragon was overshadowed by his son Arthur. 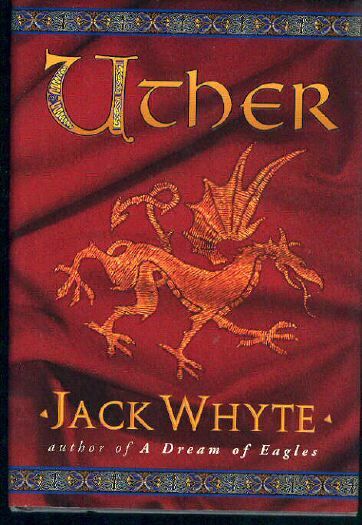 But Jack Whyte has finally given Uther the chance to tell his story in the seventh book of The Camulod Chronicles. The story of his rise to the throne, his endless campaigns and his great romance with Ygraine…all of these are chronicled in this sweeping epic. Britain has finally been abandoned by Rome and has reverted to its tribal roots, separated into many different territories ruled many different kings. Out of this world rises Uther, the future King of Camulod who, through his campaigns, will unite nearly all of the scattered tribes. He never just pulled a sword out of a stone to become king like his son; Uther fought for his right to the throne every step of the way. This novel is remarkably fast-paced, considering its size (over 800 pages in my edition) and you can tell Jack Whyte has done his research about post-Roman Britain. He immerses readers in the world completely, but takes care not to overwhelm them, which is something a lot of writers of historical fiction have trouble with. As for the character of Uther himself, he is a flawed man, but very sympathetic. He was a man of his times and some of the things he does may shock modern readers, but his actions make sense in the context of the novel. Uther grows on you and even I had t eras in my eyes by the time the book reached its inevitably tragic conclusion. For anyone fascinated by the Arthurian legends, I highly recommend Uther.